We have one prospect that verbally agreed and should be signing up today which will at another $2500 to the MRR. Sent out an email to clients introducing our new team members as well. We began moving our clients into our project management software this week. We recorded a video introducing them to teamwork and how it all works and that transition will take the next week or so. I spent a lot of time this week working and finalizing our Infusionsoft implementation guide which breaks down our tagging structure and naming conventions and then turned that into a cheat sheet which we’re giving clients so they can have a refresh when needed. We’ve been getting a lot of questions about it and clients wanted a 1 page resource so we finalized that this week. I have a 90 minute block on my cal today to work on our master followup sequence. This is becoming super important as I really want to get some more outbound marketing efforts in place and we have people coming to the site so I want to make sure we’re nurturing them into a conversion of either a consultation or downsell of some sort. Met up with a friend/local entrepreneur for HH to catch up and chat. Just realized how strong our community is yet we don’t all get together enough. I feel like I have the skill-set and connections to make it happen a become a “thing” but just not sure if I am able to take that on. Sat behind the opponent’s dugout at a rockies game this week with a buddy from college which was a good time. The rockies lost and there were a couple of rain delays which sucked but it was a good time. Lastly, we’re just trying to get all our ducks in a row to make our trip to Japan next Friday, I have to say i’m really nervous about the whole trip from a business perspective. I want things to run smoothly and I know they will but I am a bit uneasy about it. 2 blog posts written so i have one for when I return from Japan and am not stressed about that. I want to have at least 2-90 minute blocks on our master followup sequence and get something in place there even if it’s a minimum viable solution for before I leave. The Result is have something in place before I leave. Finalize all the stuff we need to do before we leave for japan like coordinating wifi hot spots and SIM cards and obviously packing. I ordered a bunch of stuff on Amazon that should be arriving tomorrow or Monday for us to organize our packing etc. Need to get back to posting content on a regular basis. We have a few blog posts in draft and we need to get the Sales Manager Playbook podcast going consistently. LeadFuze software revenue is $22,750k MRR. Loan approved for $40k! It’s a 9 month pay back plan. Counts as business credit, not personal. So this will help us in the future if we need to go this route again. Plan is to immediately invest this into a Customer Success Manager and to get a paid ad campaign rolling. 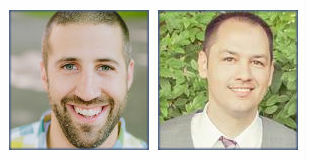 Spoke with Michael Erickson of SearchScientists.com about managing our paid ad campaign. We’re going to be moving forward with them. They were a long standing done-for-you customer and now a software subscriber as well so they have a really good understanding of our product that I think will help us quite a bit. We’re going to be spending about $2.5k/month on paid ads out of the gate and want to get that profitable. Then we’ll start to expand it from there. Challenge is tracking so we know definitively which campaigns are profitable. So I am in the process of evaluating how we can best track this and am even considering scraping our CRM for a more advanced CRM solution that can track all of this as well. The key for me was to have consistency across all applicants so that they are all asked the same questions and all graded in the same way. Once you submit your resume, I’ll review it and eliminate candidates just based on that. If you pass that, you move to the next stage. If you pass, this moves you to the next stage and Breezy.hr automatically fires off a quick survey for you to fill out that has 3 questions. If you pass that phase, we will do a phone screening interview. When you get moved to this stage I have it where Breezy will send you a link to my calendar to book a time. In addition, I outline the rest of the hiring process and set expectations for this being a screening interview. I have 10 questions to ask during this phase. If they pass this initial interview, they will have a task to complete a self assessment. This is a total of 12 questions where we ask them to questions about the company, ask them to try the software and provide feedback, and a lot more. This allows me to further evaluate their timeliness, their ability to write well, and just get a more complete picture. Applicants will be graded on their Competence, Competitiveness, Culture Fit, Curiosity, and Communication skills. Each of those sections have specific questions and there’s a total of 44 questions for the main interview (14 for competence, 9 for Competitiveness, 12 for Culture, 9 for Curiosity, with communication being an overall evaluation). I have a formula for each of those five main sections that grades out on a 1 to 4, 4 being the best grade. If they pass the phone interview, they get moved to the 5th stage in Breezy which will trigger an email to request 2 to 3 professional references. I’ll be adding a score of 1 to 4 for the reference checks. If it gets to this point, I’ll be giving an overall assessment where I will grade 1 to 4 based on if I feel they can do the job, if they enhance our culture, how badly they want it, and if this is a hire I recommend. The highest total score any applicant can receive is a 40 after the process is complete. Honestly no one should ever get this… but that’s what it’s based on. At this point, I stack up all the applicants and compare the total applicant scores of each and determine who I’ll be extending an offer to. This sort of structure and process should take out a lot of the guess work and ensure we’re hiring good people and good fits. Tuesday night and into Wednesday I went to different sites and got the job posted. So I paid $300 for a job posting on LinkedIn, $200 for a job posting on WeWorkRemotely.com, and then a couple free sites like FlexJobs, AngelList, and SupportDriven. From there, it got picked up by several aggregators. To this point we’ve had over 225 applicants. Lincoln Murphy, someone I follow, Tweeted us that he felt we were looking for a Customer Success Magician more so than a Manager – hah. That said, most of the job description came from his company’s example – so that was kind of interesting. I have been spending SO much time on the phone with people this week. My calendar is also almost fully booked up next week as well. I might be in a little over my head at this point as I haven’t even started the interviewing process with candidates yet. This is just from current users. So I’m really looking forward to our help with a customer success person coming in to take this load off my plate. Thursday morning we actually got a paid signup from someone at Google that is in charge of talent acquisition. That was pretty cool! 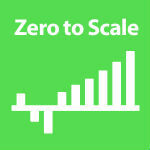 A couple podcast interviews for Zero to Scale that are pretty sweet. Looking forward to those going live.